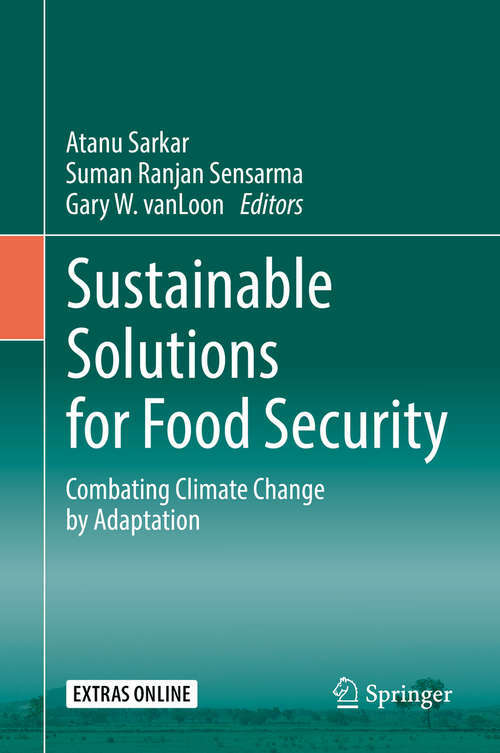 This volume is the first centralized source of technological and policy solutions for sustainable agriculture and food systems resilience in the face of climate change. The editors have compiled a comprehensive collection of the latest tested, replicable green technologies and approaches for food security, including smart crops and new agricultural paradigms, sustainable natural resources management, and strategies for risk assessment and governance. Studies from resource-constrained countries with vulnerable populations are emphasized, with contributions on multisector partnership from development professionals. Debates concerning access to climate-smart technologies, intellectual property rights, and international negotiations on technology transfer are also included. The editors are, respectively, a public health physician, a development professional and an environmental scientist. They bring their varied perspectives together to curate a holistic volume that will be useful for policy makers, scientists, community-based organizations, international organizations and researchers across the world.